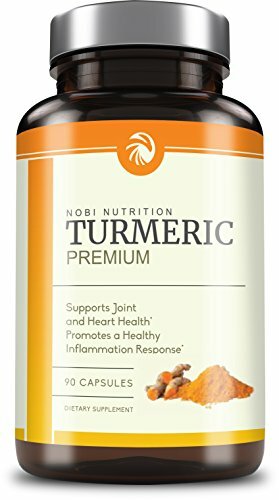 ENHANCED ANTIOXIDANT AND ABSORPTION *: The perfect, natural complement to any healthy and active lifestyle, Nobi’s Turmeric delivers over a gram of pure whole turmeric root enhanced with a concentrated 95% curcuminoid turmeric root extract to provide all protective antioxidant benefits of this amazing whole food. 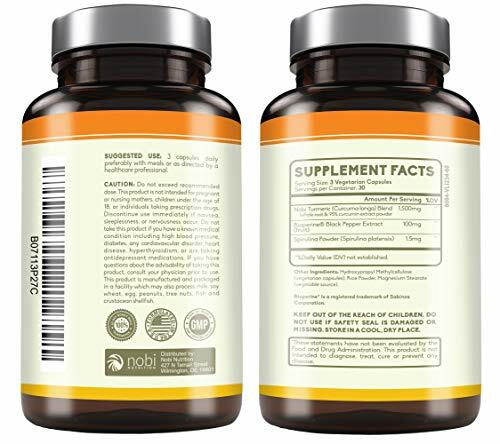 SUPER FOODS FOR SUPER HEALTH: Nobi’s Turmeric with BioPerine also contains spirulina, a nutrient-dense whole food rich in protein, amino acids and essential fatty acids, including gamma-linolenic acid (GLA). A Powerful Anti-Inflammatory Supplement that promotes healthy joints and digestive system while boosting your immune system with antioxidants. 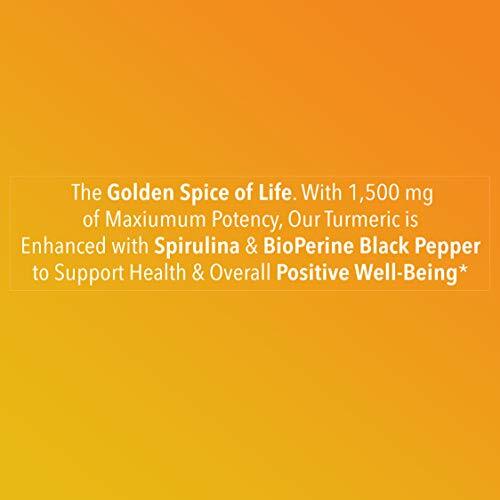 TurmericPlex is made from 95% Pure Extract of Turmeric and BioPerine for better nutrient absorption. 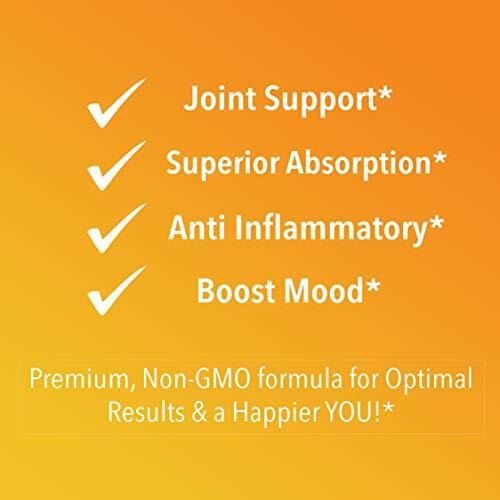 Stop worrying about your joints, digestion, or even overall health, TurmericPlex will provide the dietary support you need in order to boost your wellbeing naturally! 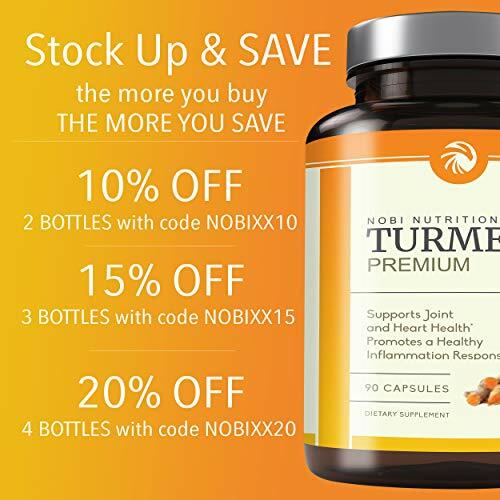 Experience the power of Turmeric at its purest with TurmericPlex by simply taking a capsule of it every day with a meal or as prescribed by your physician. TurmericPlex provides you a risk-free means of having a healthy joint to avoid inflammation problems. Why wait? TRY IT NOW!